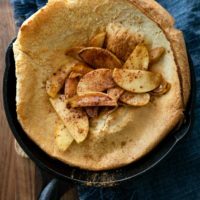 Weekend Dutch Baby with Cinnamon Apples | Naturally. Usually towards the end of summer, I feel like I’m falling out of love with cooking. I worry that the feeling will last. And yet, inevitably, with the return of the cooler comes the pull to be back in the kitchen. I’m called to bake scones and quick breads. Warming dinners replace the easy summer favorites. And home-cooked brunches become more frequent. One quick note. I typically push for a greater percentage of whole wheat flour (somewhere around 100%) but I’ve never been able to create the perfect puff with wheat-flour only. 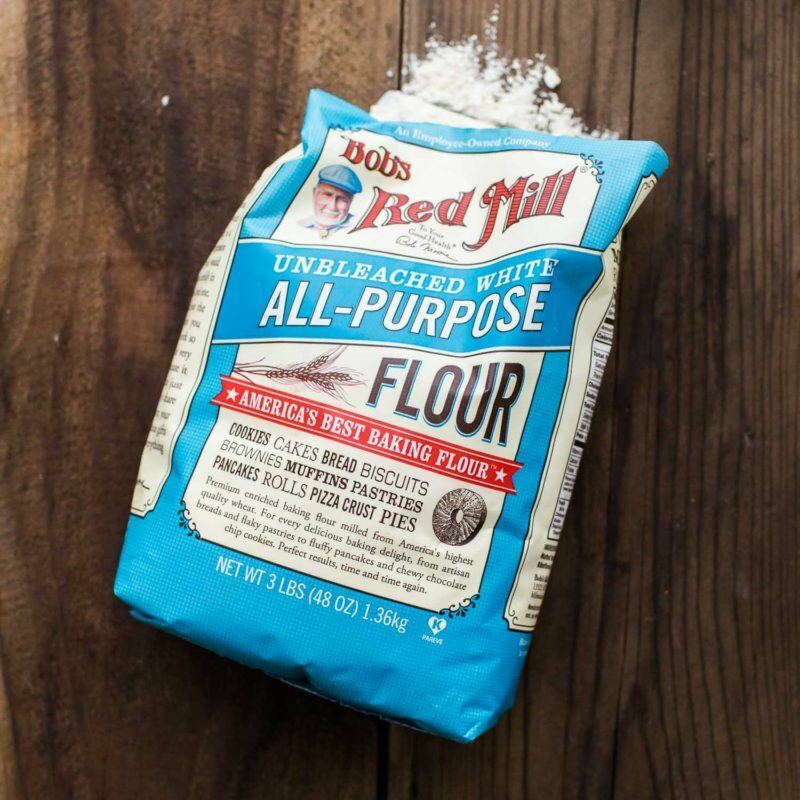 This is one of the handful of reasons I keep Bob’s Red Mill all-purpose flour on hand. Of course, you could easily use 100% wheat flour- see the notes in the recipe! Flours (gluten-free): If you’re gluten-free and still want to make this, Alanna has a good recipe in her book (that I shared here). Toppings: Go with what’s in season. This dutch baby is an all-season kind of meal. It works well with everything from fresh berries to lemon curd to the warm apples/pears. Decadent: Serve this meal with a bit of freshly whipped cream. Or if you’re really feeling like a rich breakfast (or dessert), use ice cream. I’m normally an all-wheat or alternative flour kind of gal but there are just a few things I break out the all-purpose flour for. Not everyone in my family loves the wheat/alternative flours as much as I so using Bob’s AP flour is a great way to still showcase vegetables but not completely overwhelm them! Combine eggs, milk, flours, maple syrup, lemon zest, and salt in a blender. Pulse until combined. Alternatively, whip with a whisk in a bowl until the batter is smooth. On the stove top, melt 1 tablespoon butter in a 8″ cast iron (well seasoned) skillet. Swirl around to cover the pan once melted. Turn off the heat, add the batter to the pan, and transfer the pan to the hot oven. Bake, without opening the oven door, in oven until golden brown and puffed, 20-25 minutes. Slice apples in to 1/4″ thick slices. Place in a pot/pant with maple syrup, butter, and cinnamon. Heat oven medium-low heat until apple are starting to soften, 8 to 10 minutes. 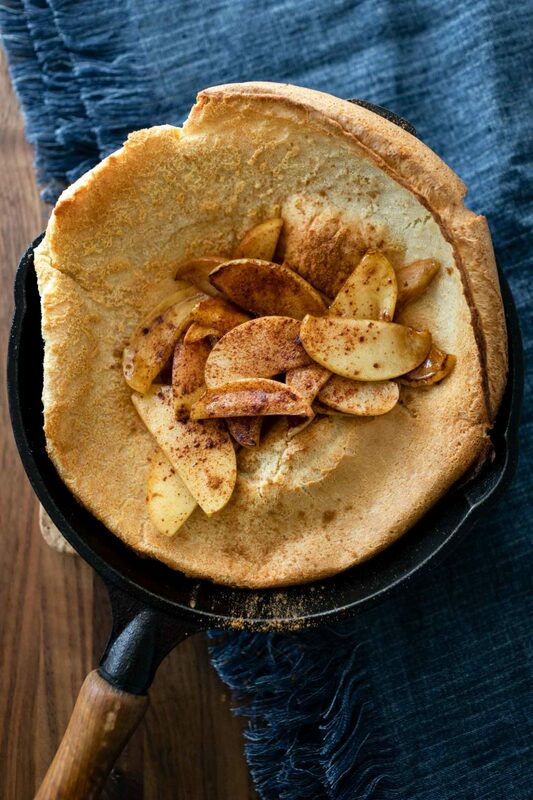 Remove dutch baby from oven and top with apples. Serve with butter and extra maple syrup if desired. Tips + Tricks: You could easily use 100% whole wheat flour with the dutch baby. I’d recommend using the white wheat or switching to a pastry (soft) wheat flour. I had a chance to meet Bob from Bob’s Red Mill last year at a food industry trade show. Super nice guy! I could tell that he is really passionate about milling healthy grains, and he will happily tell you the story behind development of different items his company sells. We had a chance to bond over the 13-bean soup (my favorite! ), and I found him to be a delightful person. I haven’t used his all-purpose flour yet, but will definitely try it in this recipe! love dutch babies and forget about them entirely, they’re rarely made and never found on bunch menus, so another reason to look forward to the weekend, thank you! oh. lemon curd. 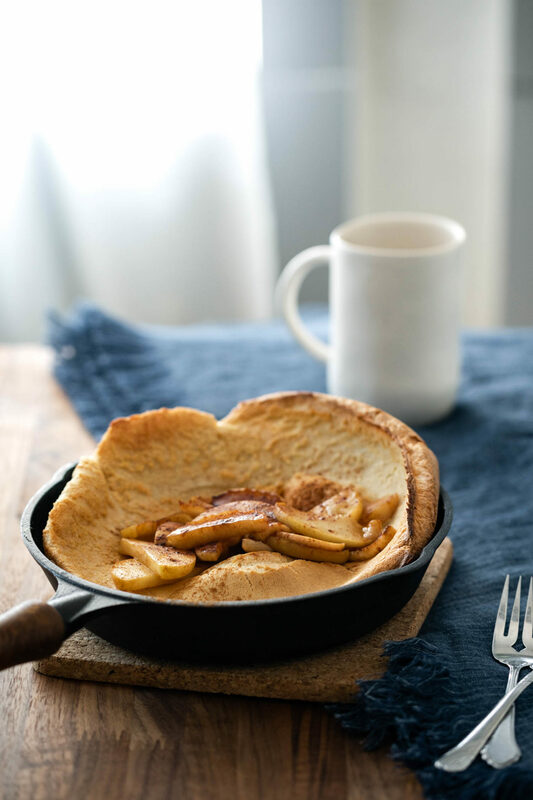 love dutch babies, but you just elevated the concept to a different level! now I want one!!! I love making a Dutch Baby for breakfast on the weekend. They are so easy and I love the idea of topping it with cinnamon apples. Can I make this without a cast iron skillet? I have a clay baking dish I was thinking of using instead. I’ve never tried it but I think a clay dish would be the next best thing!